We have a winner. Metro Exodus is the third game in the Metro series and it looks badass. It’s got the grit, the gore, the survival, the horror, the desolate, hopeless setting that means you’ll probably spend the whole game panicking. DID I MENTION AT ALL, IT HAS MUTANT ANIMALS. Not just your regular bear, a raging, ravenous, disfigured bear and wolves, which are pretty cute actually, I’ll feel bad about killing those. But our favourite mutant mole things (Nosalis) are back! 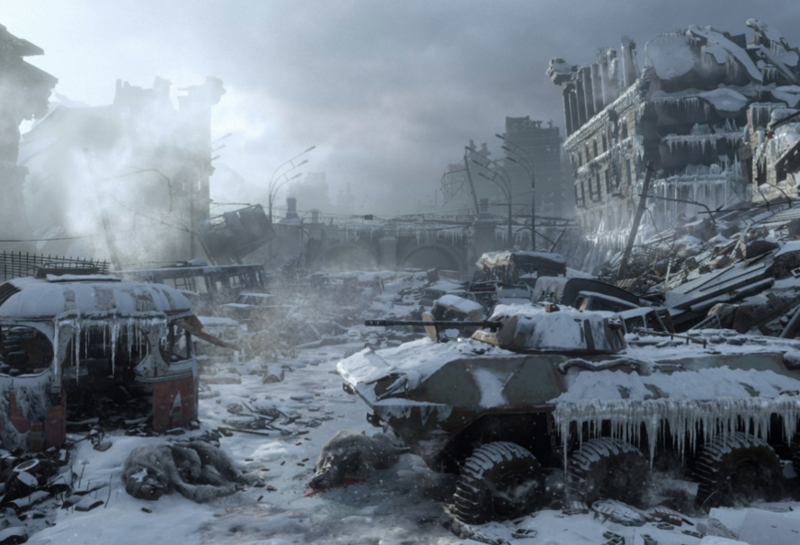 There’s this game called Metro Exodus and it looks like it will be mainly set outside, yay! I like the outside, more places to run and escape. Not that you should play that way, obviously, face your nightmares, take no prisoners! Winter is the best month because you can play games without feeling bad about not going outside and having people say, hey, not got a tan yet. NO! Set in Moscow, the icy setting and perpetual winter just adds an extra chill to the creepy and barren setting. Although this Metro game features snow at the beginning, it looks like it could be Autumn in Moscow, that’s okay though, I’ll take some grass, it’s easier to spot enemies anyway. This is a whole different story for another day.